Brief Synopsis – The inner workings of a “normal” extended family as they all try to do everything right. My Take on it – This movie has been a favorite of mine ever since I saw it at the age of 16. Now that I’m a parent myself, I understand it so much more and it speaks so loudly and clearly to me. Since my wife isn’t as much of a movie fan as I am, I have slowly been convincing her to watch some of my favorites with me and she finally acquiesced to watch this one. 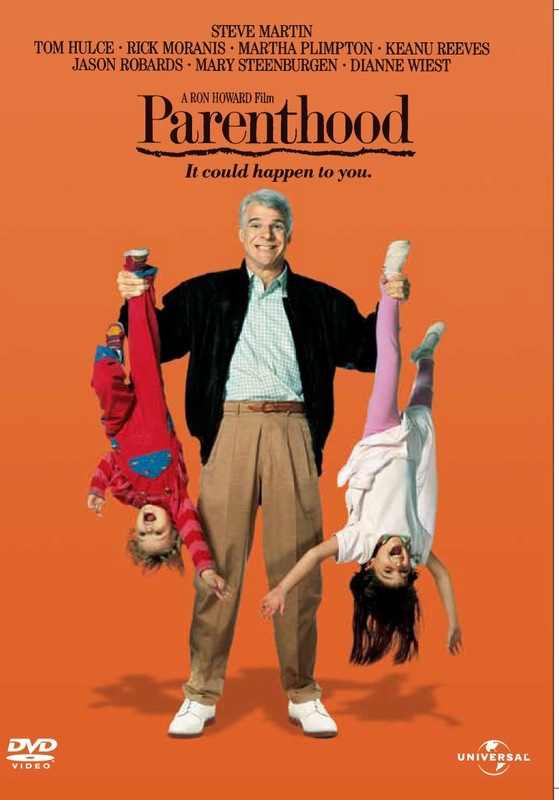 This film so amazingly captures so much of what it is to be a parent/sibling/child and of course spouse. Director Ron Howard had an extremely talented cast to work with and made it all seem so simple. Dianne Weist, Harley Jane Cozack, Mary Steenburgen, Rick Moranis, Jason Robards, Tom Hulce, Joaquin (then Leif) Pheonix, Martha Plimpton, Keeanu Reeves, Paul Linke and Helen Shaw are all superb, but this wouldn’t have worked as well had they not had Steve Martin as the anchor for the whole story. The cast all have a kind of synergism together and it sometimes feels as if they really are a family. Many of teh scenes in this film are extremely iconic and I could talk about them for days on end. The best part about this film is that so many of the scenes are ones that just about everyone can relate to and have experienced in some form or another as part of a family. Bottom Line – Amazing movie that really reflects how real parenting works. Amazing cast led by the infallible Martin works so well and it’s easy to see the synergism between them all. So many of the scenes are so iconic and can easily resemble events that can (and probably have) happen to just about anyone. Highly Recommended!